Neal D. Presa is a Filipino American pastor and theologian, presently serving as Associate Pastor of the Village Community Presbyterian Church in Rancho Santa Fe, CA, Adjunct Assistant Professor of Worship for Fuller Theological Seminary, a Fellow with The Center for Pastor Theologians, and PhD External Examiner with the Faculty of Theology of the University of Stellenbosch, South Africa. He previously served as Pastor of Middlesex Presbyterian Church in Middlesex, NJ, Affiliate Assistant Professor of Worship and Preaching for New Brunswick Theological Seminary, Adjunct Instructor at Somerset Christian College (now Pillar College), and Extraordinary Associate Professor of Practical Theology with the North-West University in Potchefstroom, South Africa. In 2012, he was elected the Moderator of the 220th General Assembly of the Presbyterian Church (U.S.A.), and represented the Assembly and Presbyterian Church in various ecumenical, mission, and ecclesiastical settings, including Cuba, Korea, Lebanon, Egypt, Japan, the Philippines, France, and even The White House. In ecumenical settings, he was, from 2006-2011, the Convener of the Caribbean and North American Area Council of both the World Alliance of Reformed Churches (WARC) and the World Communion of Reformed Churches (WCRC), and in that capacity, served on the executive committees of both bodies. He represented WARC at the Faith and Order Plenary Commission of the World Council of Churches in Kolympari, Crete, and was on a 5-member delegation which represented WARC at the Pontifical Symposium on Harvesting the Fruits in Italy. For the historic 25th General Council of the WCRC, he served on the Theology Planning Group, which developed and brought proposals to the General Council for the Communion’s work in the areas of theology and ecumenical engagement for the succeeding period of 2017-2024. In the regional and national settings of the Presbyterian Church (U.S.A.), Neal has served as presbytery moderator and vice moderator; vice chair of the General Assembly Council; a trustee of Princeton Theological Seminary; the Committee on Theological Education and its executive committee; a trustee of the Presbyterian Church Foundation; the Mission Development Resources Committee; the Committee on the Office of the General Assembly; and as corresponding member to multiple General Assemblies. 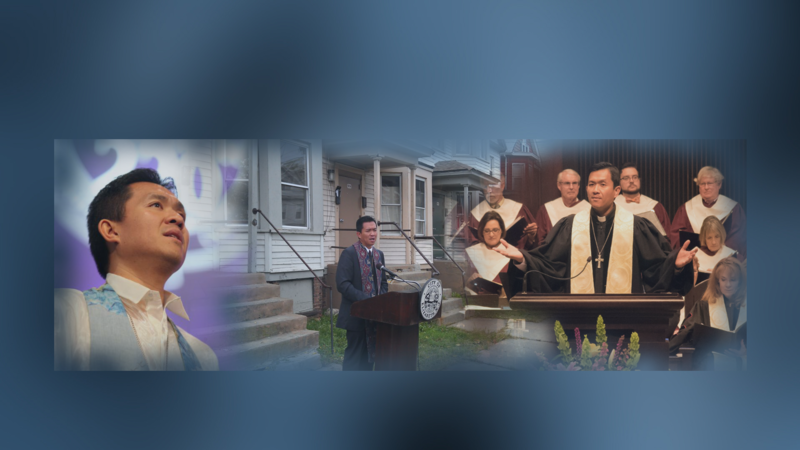 In the academy, Neal is an active member of the North American Academy of Liturgy and the Societas Liturgica. He served on the editorial board of Studia Liturgica, the peer review journal for Societas Liturgica. He is the Book Review Contributing Editor for The Living Pulpit (www.pulpit.org), an online journal for preachers and teachers of preaching. Neal is a prolific author and editor of five books and numerous articles and book chapters, and working on a sixth book as part of Palgrave McMillan’s Asian Christianity in Diaspora series. He is also working on a book proposal for a liturgical spirituality on joy and the Christian life. He holds the Ph.D. and M.Phil. in liturgical and ecumenical theology with a sub-specialization in homiletics from Drew University, the Th.M. in pastoral theology from Princeton Theological Seminary, the M.Div. from San Francisco Theological Seminary, and the B.A. in political science (w/ highest honors) and history (w/ honors) from the University of California, Davis. Neal, his wife, two sons, and their puppy live in Carlsbad, CA.